16 Apr, 2016 in Preliminary Reference tagged Bribery / Bribery Act 2010 / Marcel Gade / Sweett / Sweett Group / U.K.
On February 19, 2016 Sweett Group plc (Sweett), a UK based construction company, was sentenced in the Southwark Crown Court pursuant to Section 7 of the UK Bribery Act 2010 to a payment of about £2.25m, consisting of a fine of £1.4m, a confiscation amount of £851,152 and £95,000 in prosecution costs. The sentence followed a guilty plea in December 2015 and ended a one-year long investigation by the Serious Fraud Office (SFO). So, what had happened? In 2014 the SFO started investigating allegations that a UAE-based subsidiary, Cyril Sweett International Ltd. (CSI), had bribed the Chairman of the Real Estate and Investment Committee of Al Ain Ahlia Insurance Company (AAAIC) with the goal of securing a contract to build one of the Rotana Group hotels in Abu Dhabi. Despite knowledge of irregular practices within CSI since 2010, Sweett remained idle for almost 4 years and only self-reported to the SFO as a report by the Wall Street Journal was imminent. Moreover, as Judge Martin Beddoe emphasized, Sweett had even attempted to cover up the event by urging AAAIC to issue a statement that the fees were “legitimate finder’s fees” and set up an escrow account for further payments after conclusion of the investigation. The Sweett decision is the first sentence under Section 7 and will therefore likely function as a role model for further investigations. 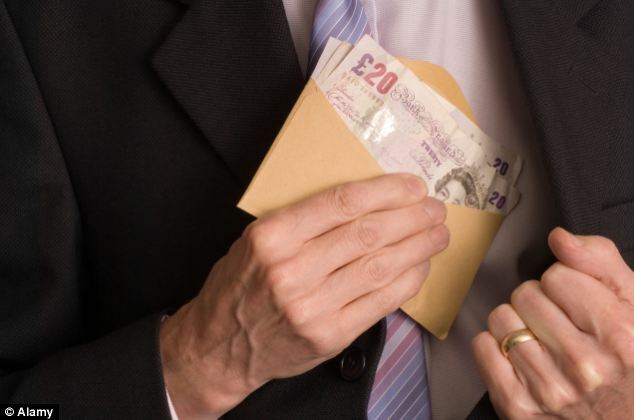 It illustrates that the applicability of the Bribery Act is not confined to acts within the UK borders. Pursuant to Section 12(2)(c) a “close connection” to the UK is sufficient, thus enabling the SFO to become active as a result of any conduct worldwide. Businesses, especially in the EU, are exposed to many laws and regulations and it is easy to lose track of all relevant provisions. In addition, it is understandable that there is a tendency to pay the highest attention to actions directly initiated in and executed from the company’s EU headquarters. Nevertheless, the conduct of the smallest subsidiary or associate somewhere in the world can unleash the full power of foreign laws. The exterritorial scope of domestic laws is not a new phenomenon. Especially with regard to corruption, the Bribery Act’s US counterpart, the Federal Corrupt Practices Act (FCPA) comes to mind. Both acts not only share the same goal—preventing companies from “bribing their way to success”—but are also align in sanctioning bribery that happened outside the respective national borders. Whereas under the FCPA the Department of Justice can only prosecute the bribery act itself, this is just one possibility under the UK provisions. Section 7 enables the SFO to circumvent the trouble of linking the bribe to an executive entity within the company by simply sanctioning the lack of “adequate procedures designed to prevent [associated] persons […] from undertaking such conduct”. As Sweett’s management had continuously refrained from taking any action after the reports on CSI, it proved to be an easy target on that front. The case also shows that the SFO is not dithering but determined to enforce the Bribery Act. Sweett might be its only victory so far, but the misconduct was so grave in every respect that the company had no other option than to plead guilty. With regard to handling the investigation, Sweett also functions as a very good example in the category of “how not to do it”. Whenever allegations of corruption spark investigations, practitioners recommend to fully cooperate with the authorities in order to pave the way for a possible sentence mitigation. The magic words in bribery investigations are: Deferred Prosecution Agreement (DPA). By entering into such an agreement and its approval by court, the proceedings are suspended subject to the company’s compliance with terms set forth by the SFO. After the introduction of DPAs in 2014, Standard Bank became their very first beneficiary on November 30, 2015. Although the payments in that particular case are still in excess of Sweett’s actual penalty, one can imagine what they would have looked like without full cooperation. DPAs in FCPA investigations, on the other hand, have a longer history. But still, the matter is in motion: In December 2015 the Securities and Exchange Commission (SEC) agreed to the very first DPA with a natural person. This is a very interesting option, that European businesspeople themselves also need to be aware of: Whereas Section 7 only applies to corporations, involved individuals are nevertheless subject to Section 6. It is false to think that individuals are off limits in SFO proceedings. But as the door is now open for companies to be offered deferred prosecution, chances are high that the SFO will follow suit when it investigates individuals. The Sweett Group decision should be understood as a wake-up call for all European businesses with ties to the UK. In order to fulfill their due diligence obligations, they cannot simply focus on actions that might happen within the EU but need to be aware of their entire business practices worldwide. If the management cannot show, that it had appropriate safeguards and policies in place to prevent bribes, the business is almost certain to be sentenced. Of course, there is still a chance to be offered a DPA. But this opportunity hinges on full and honest cooperation. Sweett learned this lesson the hard way. But as history teaches us, it will not remain the only one. ← EU-US Privacy Shield: The Future Framework for Transatlantic Data Flows?